Simply put, Cause is a social and mobile optimized premium WordPress theme for your cause, charity, foundation, NGO or even your local businesses and personal blogs. 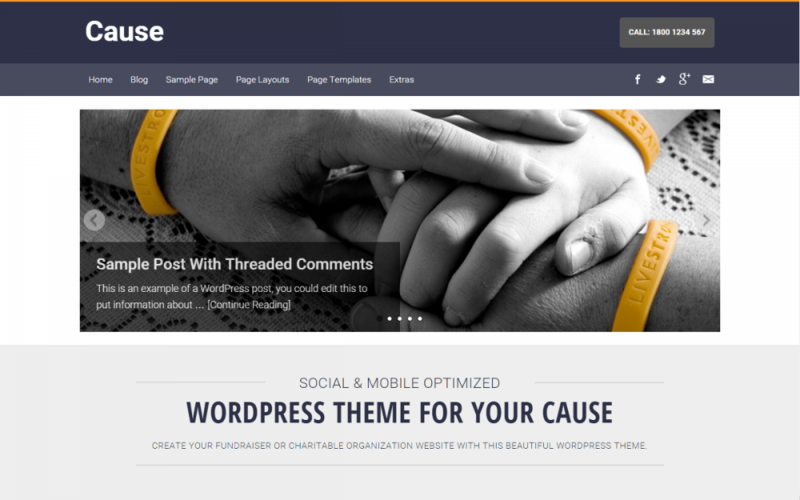 Cause theme is a Premium WordPress theme for your charity website or for a cause. The theme can as well be used for local businesses, blogs and personal websites. Cause theme is created using the Somo Framework making your site social, mobile and search friendly out-of-the-box.